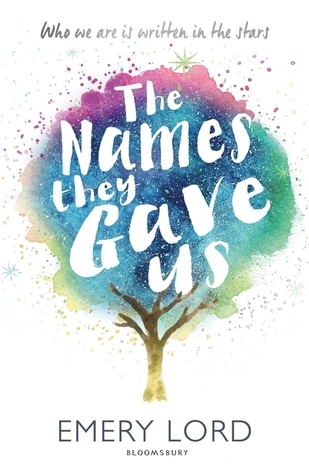 The Names They Gave Us (TNTGU) is about a teenager called Lucy whose mum has been recently diagnosed with breast cancer, for the second time. To cope with the stress and worry this is causing her, Lucy's parents suggest she goes to a summer camp for children like herself, who have various different difficulties like mental health issues, suicide, the death of someone close etc. There, with other teenagers, she has counselling and helps out with young kids whilst making amazing friends who help her through the toughest of times. I. Really. Really. Loved. This. Book. I feel like I say that about very single book and it's true. I find it so frustrating that there aren't different ways to say 'I Loved This' whilst still portraying the same power the word holds but there aren't so you'll just have to stick with me repeating that phrase for now:) Whilst it was actually an extremely sad book, I found lots of parts of it so uplifting and heart warming. The book was so realistic and I loved the way the author touched on such delicate subjects. In the YA community we always talk about how we need more books with diversity and BAM this book has it all. I also loved the twists towards the end, won't say much about them other than the fact that I did not see them coming! The final thing I really loved about TNTGU was that so much took place in the book without that being noticeable or it feeling overcrowded. I didn't really pick up on that when reading it (which is good, you don't want your book to feel like too much is happening) but afterward I wanted to read a certain bit again and to do so obviously I had to flick back through and read certain passages to see if I was in the right place, and then I realised just how much had happened in that one single book. OOOH! This seems like a great book! Awesome Review! The premise sounds intriguing, Lexie! Books like this kind of put a damper on my mood, so I may stay away from it for awhile but will probably pick it up to read some day. This book has been on my TBR for so long, After reading your review I think I'll push it to the top of my list! Fabulous review Lexie!